British sailor Andrew "Bart" Simpson drowned in the San Francisco Bay Thursday after his team's catamaran capsized, trapping him underwater. The Olympic medalist had joined Artemis Racing Team in February and was training for the America's Cup. Four people died in the Newport-to-Ensenada race last April after their vessel, a 37-foot yacht, broke apart overnight. Race officials initially said the Aegean collided with a larger vessel, but U.S. Sailing, which investigated the accident, concluded that the yacht ran aground on North Coronado Island. It came just weeks after another deadly sailing accident off the California coast took the lives of five others. Five sailors were killed during the Full Crew Farallones Race after their 38-foot yacht struck rocks near the Farallon Islands. Eight crew members were aboard the Low Speed Chase when it ran into breaking waves and capsized. An accident report issued by U.S. Sailing said it was "troubling" that none of the other boats—more than 32— "dropped out or delayed their race to render assistance." Fifteen-foot waves knocked Dutchman Hans Horrevoets overboard in one of the final legs of the round-the-world Volvo Ocean Race. His crewmates were able to pull him from the stormy waters of the North Atlantic, but were unable to revive him. Martin Wizner, a member of the Spanish Challenge, was instantly killed off the waters of Valencia, Spain when a piece of his training boat broke loose, smashing him in the head. The Spanish Challenge said the boat "was sailing peacefully in a 12-knot breeze" at the time of the tragedy. He was training for the America's Cup. 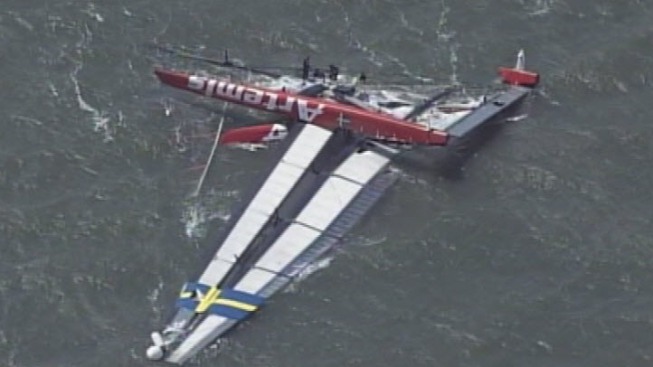 The 54th annual “Blue Water Classic” was one of the deadliest events in the race’s history. Six sailors died in the waters between Sydney, Australia and Hobart, Tasmania. Severe weather struck the 628-mile race route off the southeastern Australian coast, sinking five vessels. Two men competing in the Vendée Globe Challenge, a nonstop round-the-world race, died while crossing the Atlantic in a storm. The body of Nigel Burgess of Monaco turned up off the coast of Spain, while that of Mike Plant, an American, was never found. Four sailors were killed during the 68-mile Doublehanded Farallones Race, after their vessel sank in the 45-degree waters. According to news reports, most of the 127 vessels competing in the race turned back after the winds intensified. In the first hours of the race, a small craft advisory was elevated to a gale force wind alert, which was later bumped to a storm force wind warning, issued by the National Weather Service. Fifteen people died, five yachts sank, 24 crews abandoned ship and 136 sailors were rescued in a savage storm that struck the Fastnet racing route in 1979. It was the worst disaster in the history of offshore racing. At the time of the storm, search and rescue aircraft reported winds of 60 to 65 knots and waves as high as 60 feet along the 605-mile course.